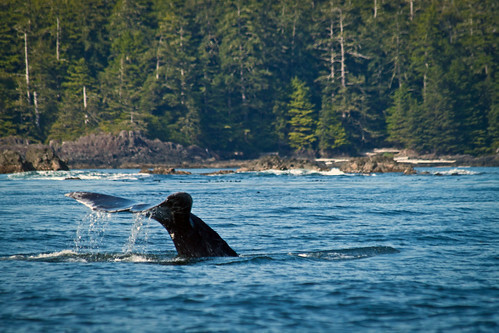 With sunny days around the corner, Tofino and Ucluelet are preparing to embrace Spring starting with the Pacific Rim Whale Festival. Starting March 17th, both locals and visitors can witness the annual migration of gray whales as they return to the Bering Sea following a winter in the Mexican Baja. This year’s festival marks the 26th year of celebration. Over the next eight days, both towns will play host to a number of informative and interesting events – many of which are free of charge with the purchase of a Whale Festival button. The aim is to inspire and educate while preserving the coastal traditions that make the West Coast so famous. Funds raised from the festival ensure that not only can it continue in following years, but also provides vital funding for local marine researchers. Family Story Time At Sea – Monday, March 19th – 10:00 a.m. Author Sheryl McFarlane will board the Leviathan II, bringing with her stories and hot chocolate at this family-friendly event. A Walk in the Sand Dunes – Thursday, March 22nd – 1:00 p.m.
Join Daniel Bellefleur at Pacific Rim National Park and learn about the dunes’ history, track local animals that call the dunes home and explore an often unseen side of the West Coast. The Sounds of Whales – Breaking the Silence – Sunday, March 25th – 11:00 a.m.
Janie Wray will entertain and inform with this Festival-closing presentation. It’s a fantastic opportunity to learn more about the songs of northern resident and transient orca, humpback whales and fin whales along the north coast of BC. 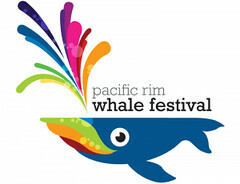 For more information on the festival, a full event listing and suggestions on where to “Stay & Play” during the festival, please visit the Pacific Rim Whale Festival’s official website. You can also follow the Festival’s updates on Twitter by talking to Knuckles, the Baleen Whale mascot or by liking the Festival on Facebook.